Swervedriver "Deep Wound" / "Dub Wound"
Since reuniting in 2008, shoegaze-leaning indie rock outfit Swervedriver have yet to issue any new music. That'll change, however, as they're currently putting the finishes on a new LP for release in 2014. First, the group have shared a new song called "Deep Wound." The song does not sound like their first recorded material in 15 years, instead giving off the impression of a very active band. The fuzzed-out guitars play off one another with excellent riffing, while the driving rhythm section pushes the song. 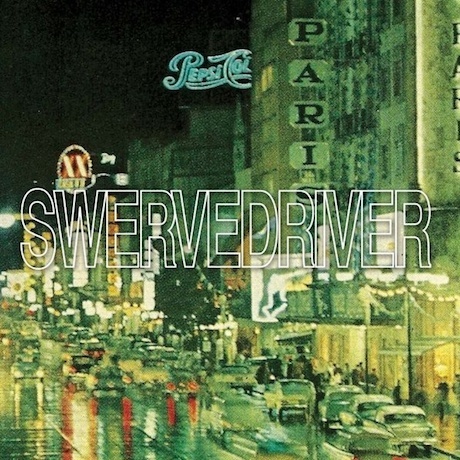 Add in some harmonized vocals, and the song suggests Swervedriver have certainly still got it. "Deep Wound" is available now on a 7-inch from Australia's Tym Records. You can stream it below via Bandcamp, along with a dub version fittingly called "Dub Wound."